Puerto Rico is still powerless. More than four weeks after Hurricane Maria made landfall, roughly 79 percent of the island has no electricity. 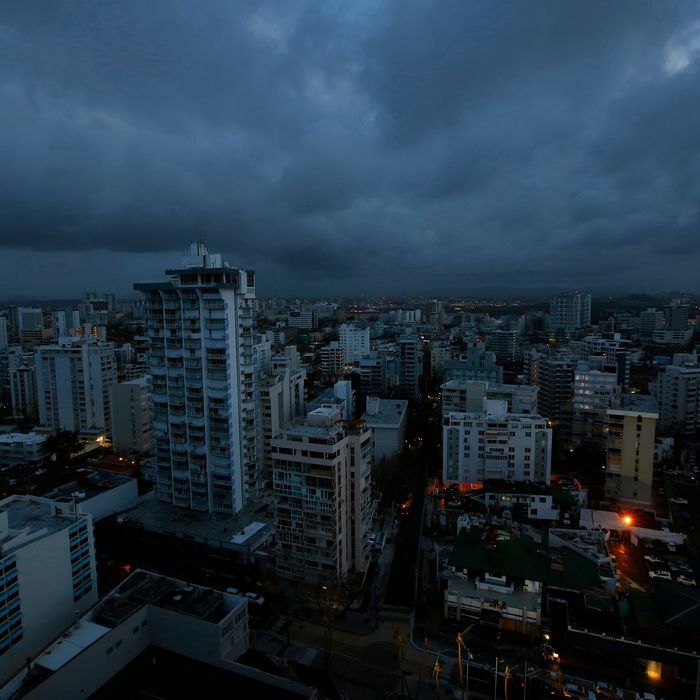 The territory’s governor, Ricardo Rosselló, has promised to restore power to 95 percent of the island by Christmas. U.S. officials see that timeline as absurdly optimistic. As of this writing, Puerto Rico’s government has put the number of people directly killed by Hurricane Maria on the island at 48. But the number who have been killed by the (literal) darkness that the storm left in its wake may be in the hundreds. Puerto Rico’s population is disproportionately elderly, and its elderly population is disproportionately impoverished. 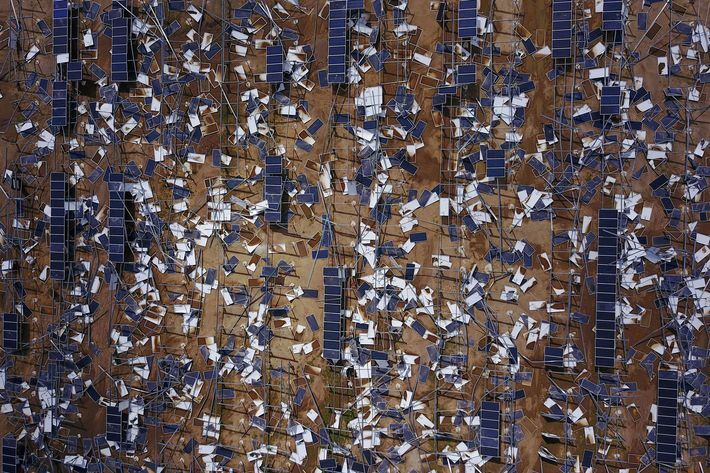 In this context, one would expect weeks without electricity — amid high temperatures and limited access to water — to be more fatal than the Category 4 winds that Maria brought ashore in September. And Vox’s examination of local news reports since Hurricane Maria has found 81 deaths linked directly or indirectly to the storm, hundreds more with causes unknown, and reports of 69 people missing. The blackout will deprive Puerto Ricans of 20th-century comforts like fans, refrigerators, and televisions. 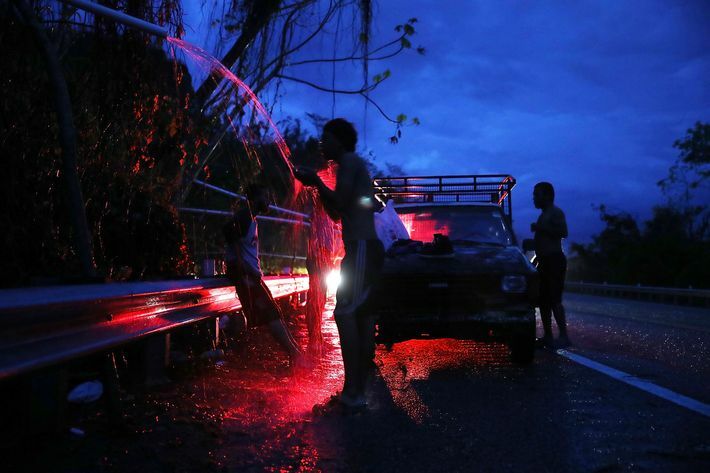 But it will also hobble relief efforts aimed at securing the population even more basic goods: The island’s water-treatment facilities require electricity to fuel their pumps and filtration systems. It is nigh impossible to run all the territory’s water treatment plants at full capacity with generators alone. This is one reason why 1 million Puerto Ricans still lack access to clean drinking water. If this state of affairs persists deep into 2018, Hurricane Maria may indirectly kill more Puerto Ricans — from heatstroke, dehydration, or water contamination — between now and the middle of next year than it has already. Puerto Rico’s biggest power generators are on the south of the island, but most of its inhabitants live on the north side, primarily in San Juan. There are four high-capacity transmission lines that carry power from the south to the north, and they pass through the center part of the island, the region Marin calls home. The problem is that central Puerto Rico is mountainous, full of huge swaths of thick forest, and mainly reachable only by driving on terrifyingly narrow dirt roads. … The second major problem is a financial one. PREPA, the island’s widely despised electric utility, hasn’t done any major upgrades to the grid in decades. The median age of the island’s power plants is 44 years, more than double the normal industry standard of 18 years, according to a report from FiveThirtyEight. The plants are so old that it’s hard to find replacement parts when individual pieces of equipment break down. Nonetheless, the Trump administration could have done far more to mitigate Maria’s harms. 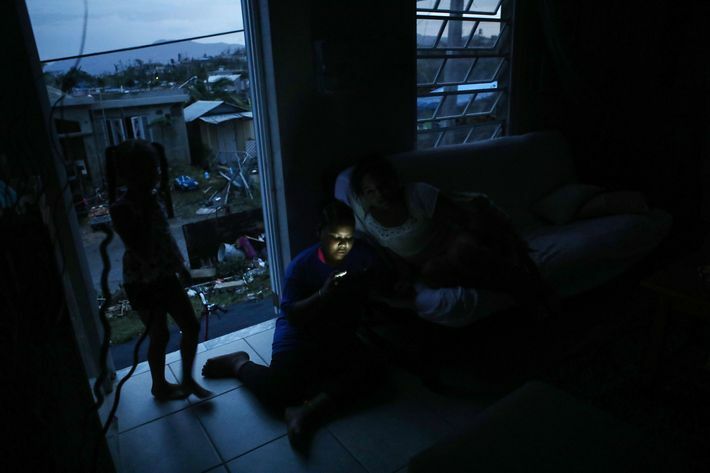 The White House had several days notice that a Category 4 storm was likely to hit Puerto Rico — and that the island’s electrical grid was unlikely to survive such an onslaught. The federal government had time to deploy satellite phones to the island, to avoid the communications blackout that isolated remote areas from the territory’s government. It could have delivered reserves of food, fuel, and water to the island in advance of the storm, allowing local officials to spread these vital resources throughout the territory, before the hurricane lay waste to much of its trucking infrastructure. Instead, our president did almost nothing in the lead-up to the storm — and went on a four-day golf vacation in its aftermath. More important, there’s more that our federal government could be doing right now. Just to restore the grid to its (ill-designed, vulnerable) pre-Maria state will cost $5 billion, according to the island’s government. But PREPA, the Puerto Rico Electric Power Authority, is, itself, $9 billion in debt. This will represent a massive financial problem for the island once the recovery is over. And there are signs that the utility’s insolvency is already creating a humanitarian problem by delaying the restoration of electricity. PREPA is part of the American Public Power Association (APPA), a trade group of U.S. municipal utility companies. Members of APPA have access to a mutual assistance program, which would allow Puerto Rico to call on the aid of mainland utilities during a time of crisis, with payment deferred to a later date. Florida and Texas recently activated this assistance program to expedite their hurricane recovery efforts. But PREPA has declined to do the same because it isn’t sure that it can afford to pay the other utilities back. Instead, PREPA has entrusted Puerto Rico’s paralyzed electrical grid to a two-year-old Montana company that had just two full-time employees as of one month ago. Whitefish said Monday that it has 280 workers in the territory, using linemen from across the country, most of them as subcontractors, and that the number grows on average from 10 to 20 people a day. 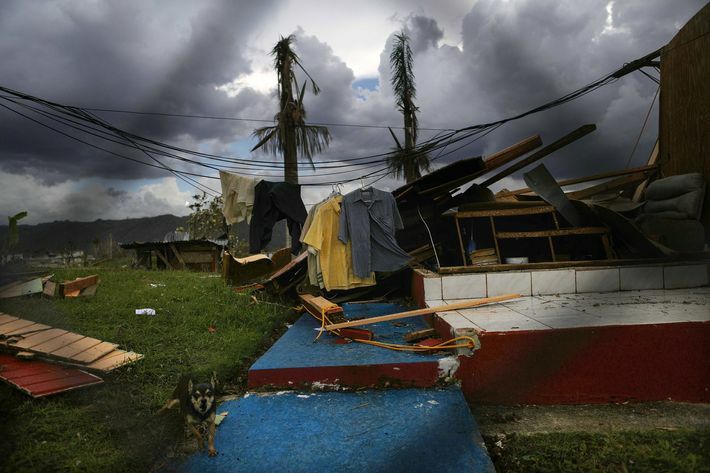 … The unusual decision to instead hire a tiny for-profit company is drawing scrutiny from Congress and comes amid concerns about bankrupt Puerto Rico’s spending as it seeks to provide relief to its 3.4 million residents, the great majority of whom remain without power a month after the storm. Congress authorized $4.9 billion in loans for the Puerto Rican government in a broader hurricane and wildfire relief package earlier this month. Beyond the unseemly decision to provide a catastrophically indebted territory with a loan — instead of a no-strings-attached aid package — this sum is inadequate to Puerto Rico’s needs. Were Congress to make more funds available, it’s possible that the restoration of the electrical grid could be expedited. 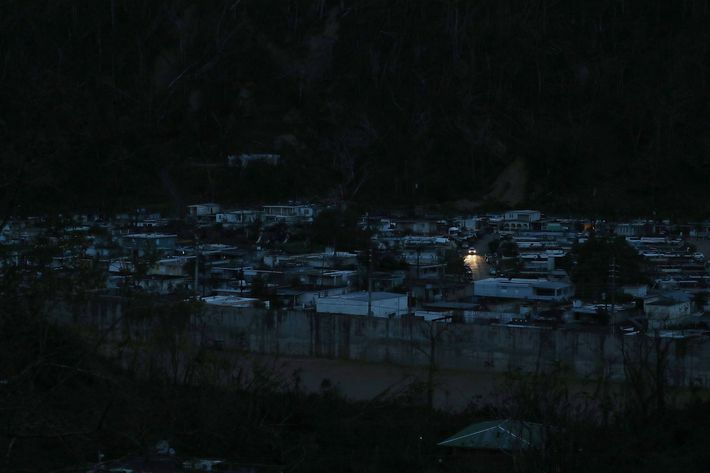 At the very least, federal funds could prevent PREPA from defraying the costs of repairs by jacking up Puerto Ricans’ electric bills, once power is restored. The island’s residents already pay some of the highest utility bills in the United States, despite their far lower median earnings. In the environment of high unemployment and economic instability that is sure to persist in the recovery’s wake, the last thing the island’s residents will need is a higher cost of living.